• The first thing to be done with the Super Beetle is to bring the front end to its best. You could "just" chop off the front and replace the MacPherson-Strut suspension. Well, you might as well get a pre-1971 VW Beetle. 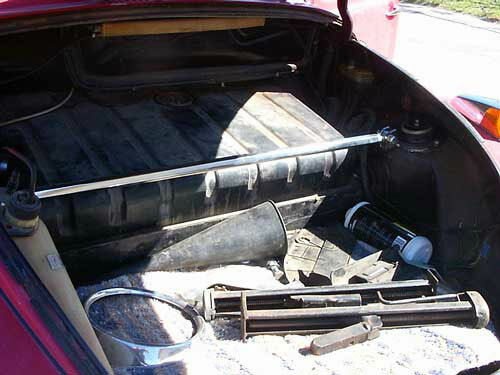 Instead, add a new sway bar with good bushings, and a Super Beetle strut tie bar. • The sway bar here improves handling under cornering, and the tie bar goes across the top of the struts and strengthens the suspension. 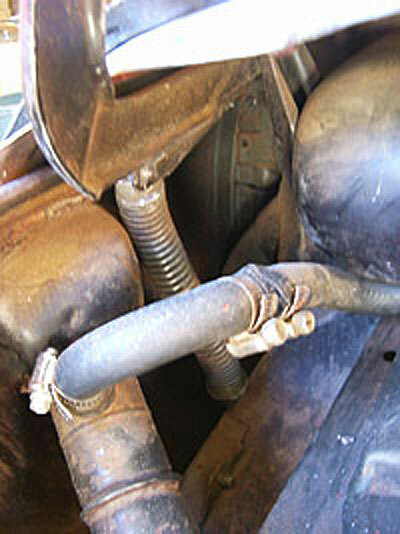 • Add KYB gas-charged shocks, replace bushings, ball joints, tie rod and ends. I added disk brakes, and a rebuilt steering box (worm gear on the old one was shot). • All of the engine work, transaxle and other work as indicated was been done by French's Auto Parts in Yucca Valley, Calif. They installed the front end reinforcements and front disc brakes. 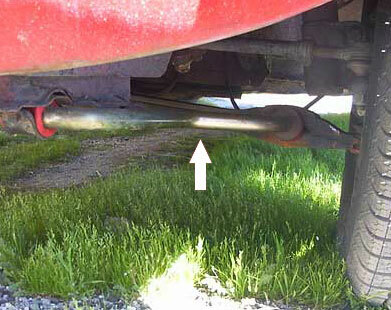 Here, the driver's side strut is exposed. 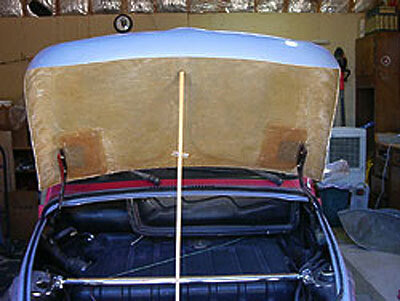 • Before removing the fenders, take off the tail lights, front turn lights and headlights. Mark down which wire goes where before you take off the connectors. • Now the fenders, running boards, hood and bumpers come off. All the bolts have been sitting for decades, so they are going to be uncooperative. There will be some damaged bolts and damaged body areas ... places that you didn't see when you got the car in the first place. Just unbolt everything and deal with the damage later. 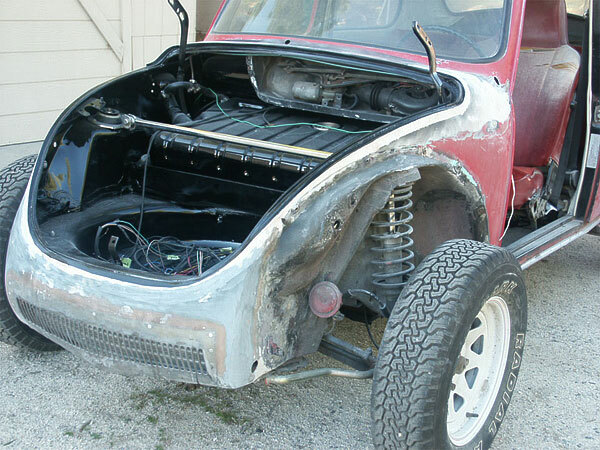 • Remove the steel bumpers, front and back. Remove the front hood and engine cover. • Part of tearing into an old car like is that you find out what problems there are. The hood, engine hood, fenders, running boards and bumpers will be tossed, given away or salvaged for parts. • Scrape, remove or sand off anything you think doesn't belong anymore, like the old rubber seals, dirt, rust and ugly stock metal trim. In the rear, there is a lot of tin around the engine that needs removal. Also, the old firewall protective tar paper will be ripped out to get to the wiring, and later replaced.